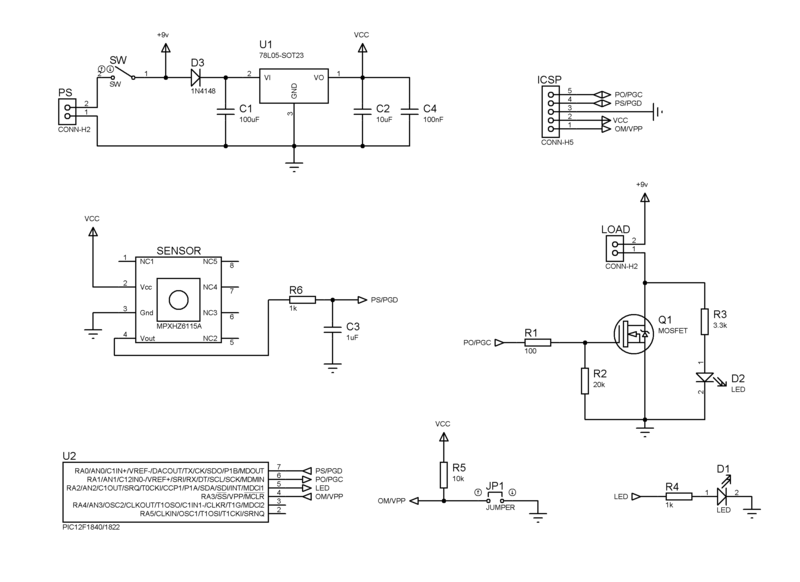 The electrical schematic is very simple and all components are easily obtainable. 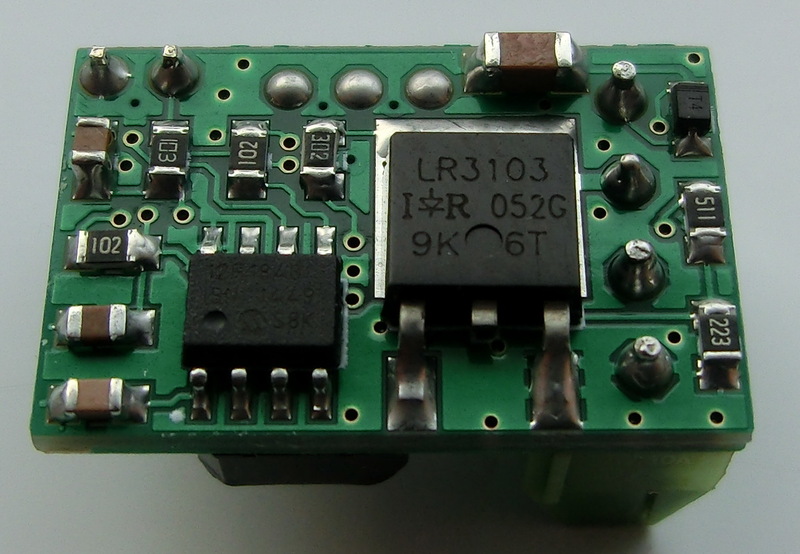 If the sensor is to be used with a 7.4v LIPO battery then D3 should be replaced by a 0 Ohm resistor or bridge. Keep in mind that R3 and D2 which represent the igniter integrity circuit allow about 2mA to flow through the load at all time – normally this is not a problem, but if you have a really sensitive igniter you can increase the R3 value up to 8-10 kOhm and further reduce the current. 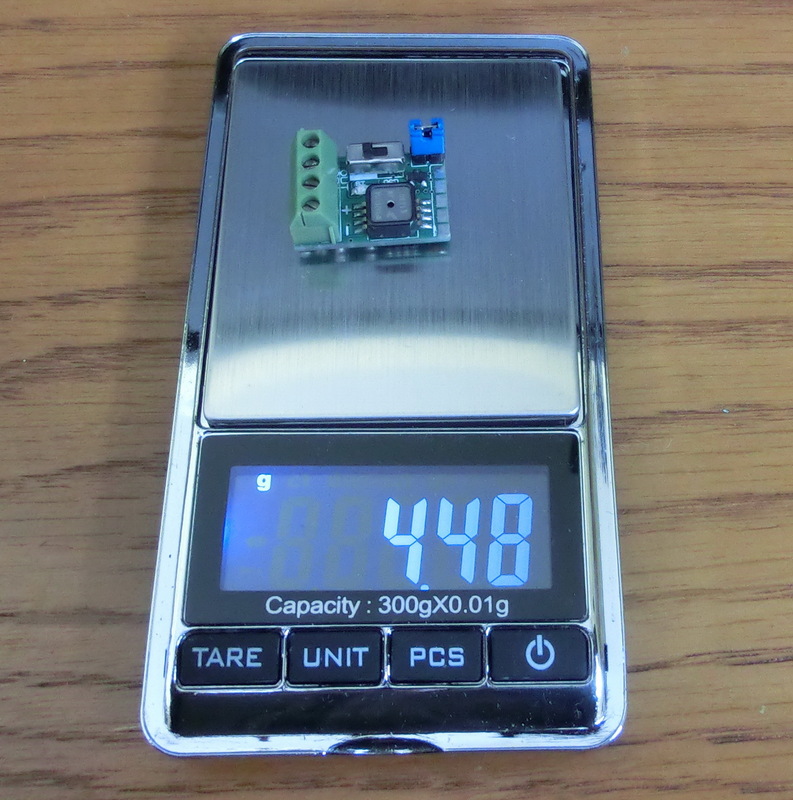 As you can see this barometric apogee detector have very small dimensions – about the size of a SIM card and only 4.5 grams. Due to its small dimensions and functionality it could be used to open the parachute at apogee, it could be used in dual parachute systems to open the second parachute at 100m above the ground, it can be used for recovery of rocket stages etc. – If the jumper is removed, then the sensor will turn switch on the output at apogee, if the jumper is present then sensor will fire when 100 meters above the ground after the apogee are reached. 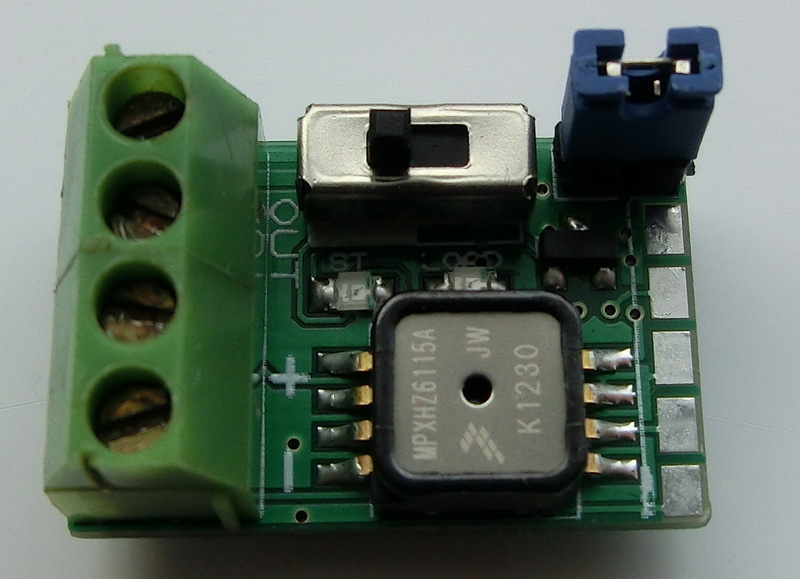 – If the LOAD LED is on when the igniter is connected then the circuit is not interrupted. If the LOAD LED is off when the igniter is connected then there is something wrong with the igniter. 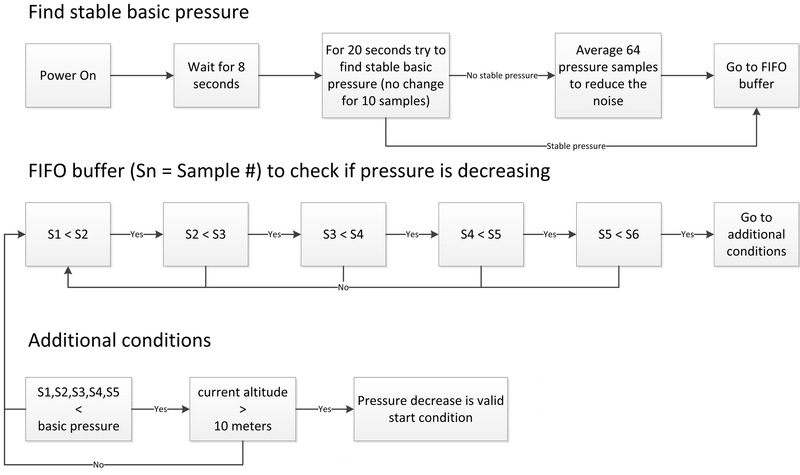 – When you switch on the device, a solid ST LED means that the device is still looking for stable basic pressure and it is making calculations. The maximum time that it could take to finish all calculations is about 30 seconds and you should not launch the rocket while the device is making calculations. – Once the calculations are finished (it could take up to 30 seconds but no more than that) the ST LED will start blinking slowly meaning the device is ready for launch but no rocket launch is detected. – When the rocket is launched and the apogee barometric sensor detects this, the ST LED will start blinking fast which means the device is in flight mode and looking for apogee or 100m above the ground after apogee in order to fire the output. Good Night, first thank you for taking such an important equipment for those who want to start a hobby related to amateur rockets. I am one of them, already played with water rockets, I have to blog about it (fogueteh2o.blogspot.com), I am now working in a rocket propelled by solid fuel-based fertilizer and sugar. I could see that u made available the complete files for the manufacture and operation of the systems presented. relying on its getileza would like me to appoint a software to draw the printed circuit boards using the available files. already agradesco their collaboration. The CADCAM files are meant for ordering the PCBs, but they can be opened and viewed with any software supporting the GERBER PCB format.